I'm pretty simple. I love my kids. I love my job. And, I'm obsessed with geography. One of the most unexpectedly best days of my adult life came a few days ago when my three loves came together. I drive 75 miles each way to my job as a college counselor at a high school outside of Philadelphia. But on this beautiful fall day my own kids had a day off from school. My sitter fell through. And, instead of begging someone to watch my kids, I decided to take them to work with me. My husband looked concerned that morning as I packed up lunches, crayons, water bottles, and scrap paper that would hopefully last us a 12-hour day away from home. Five minutes into the trip, my son asked, "How much longer until we get there?" I told him, "About an hour and twenty if all goes well." Halfway into the trip, my oldest daughter asked if we could do our car game: seeing who could identify the most unusual license plate. I warned her, "It's mid-morning on a fall day on the Pennsylvania Turnpike. We might not get any good ones today." There's something special about license plates that I hold dear. It stems from my own childhood where I had two hardworking parents who didn't typically take us on many vacations. Not surprisingly, I have always been inspired by the geographic unknown and the possibilities presented by a foreign place. At the age of 23, I took a job as an entry-level admissions officer at the University of Pennsylvania. That job opened many doors for me; it also allowed me to travel to 42 out of 50 states in less than a decade. I was inspired not only by each state I visited but by the high school students who came to meet me -- the emissary from that "far away university." These students wanted to do something unpredictable and go to college where no one else from their town had ever been. My love for geography quickly turned into an affinity for students who wanted to explore the unknown and embrace the possibilities. Fast forward almost 20 years, and I still am especially inspired by students who want go to a college that is so different and far a field from the expectations of their community. It speaks to a certain quality about them as human beings. They are usually not driven by reputation and U.S. News & World Report rankings, but by the allure of the journey waiting for them at a college so different from and more challenging than what they know. I have a long list of students who have done this over the years. They are my favorite students. They haven't felt like they needed to follow a prescribed path. They follow their own path. When I am putting together a list of colleges for my students, I always put a college that is completely off their radar. They or their parents may balk at my addition, but some families actually follow through with my advice and explore the unknown. Even if the student doesn't end up going to that "off-the-radar" college, at least they have explored it and gotten a different feel for something that they may pursue down the road. Life needs to be explored and when a student considers a college that defies orthodoxy, their mind expands, their creativity comes alive, and their life becomes an unexpected and more deeply fulfilling journey. Right before we got off the Pennsylvania Turnpike last week, I saw what I had been waiting for -- that special license plate. The late model Chevy Suburban was tailgating me in the right lane for miles. As I looked in my rear view mirror, I said under my breath, "Go right ahead. Pass me, will ya?" And then just like that the Suburban started to pass me, but they did it painstakingly slowly. I was tempted to yell at the Suburban in my native Jersey tongue, but I had my kids in tow. 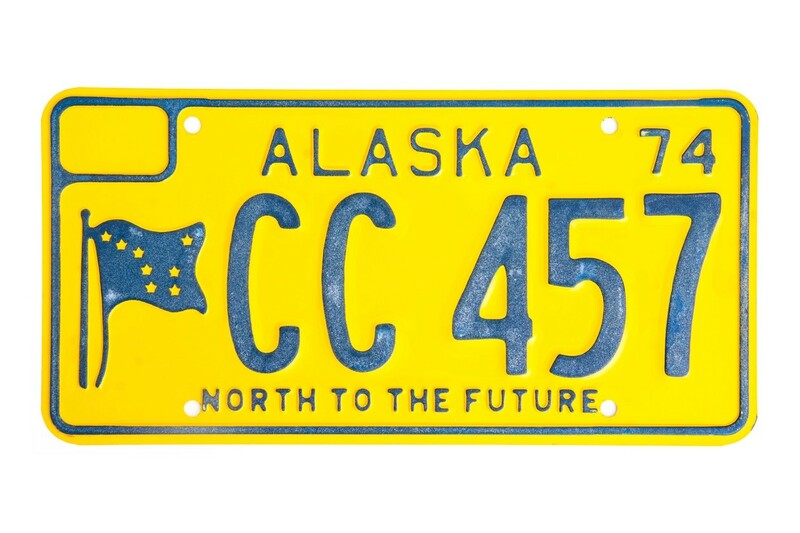 I kept it together just long enough to catch a glimpse of the license plate: ALASKA. I screamed to my kids, "Can you believe it? Alaska just passed us!" I sped up and moved into the left lane to catch up. I no longer was upset they tailgated me. I just wanted to ride their wave for a moment as I imagined how unpredictable and inspiring the people in that car must be. Alaska's motto is "North to the Future." What a metaphor for college-bound students. It doesn't matter which direction a student takes for college as long as it's the place that is going to make them a better version of themselves. College should be a journey of exploration, tremendous growth, and new frontiers. Name brands and college rankings sometimes dictate where a student enrolls. But the student who embraces the less traveled road will often have a more transformative education. Truly, it is through our willingness to take a risk that we are rewarded with our greatest achievements.